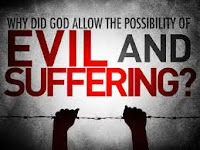 Answer: The ultimate answer to this difficult question is that when Adam and Eve sinned (Genesis chapter 3), they brought evil, sickness, disease, and death into the world. Sin has been wreaking havoc on the human race ever since. Birth defects occur because of sin…not because of sins the parents or the baby have committed, but because of sin itself. The hard part of the question is why God allows people to be born with terrible birth defects and/or deformities. Why doesn’t God prevent birth defects from occurring? The book of Job deals with the issue of not understanding why God allows certain things to occur. God had allowed Satan to do everything he wanted to Job except kill him. What was Job’s reaction? “Though he slay me, yet will I hope in him” (Job 13:15). “The LORD gave and the LORD has taken away; may the name of the LORD be praised” (Job 1:21). Job didn’t understand why God had allowed the things He did, but he knew that God was good and therefore continued to trust in Him. Ultimately, that should be our reaction as well. God is good, just, loving, and merciful. Often things happen to us that we simply cannot understand. However, instead of doubting God’s goodness, our reaction should be to trust Him. “Trust in the LORD with all your heart and lean not on your own understanding; in all your ways acknowledge Him, and He will make your paths straight” (Proverbs 3:5-6). LOVED this post! We have a child who was born with a birth defect and you were spot on!